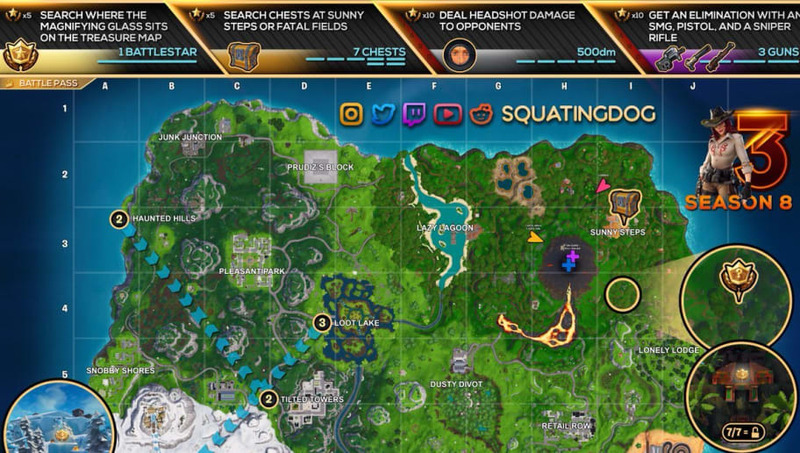 Fortnite Season 8 Week 3 cheat sheet is now available thanks to influencer TheSquatingDog. His guide lists all the challenges for the week alongside a map indicating where to complete each one​. Check it out below. ​Fortnite Season 8 Week 3 sports the typical three free challenges and four Battle Pass-exclusive challenges. Check them out below.